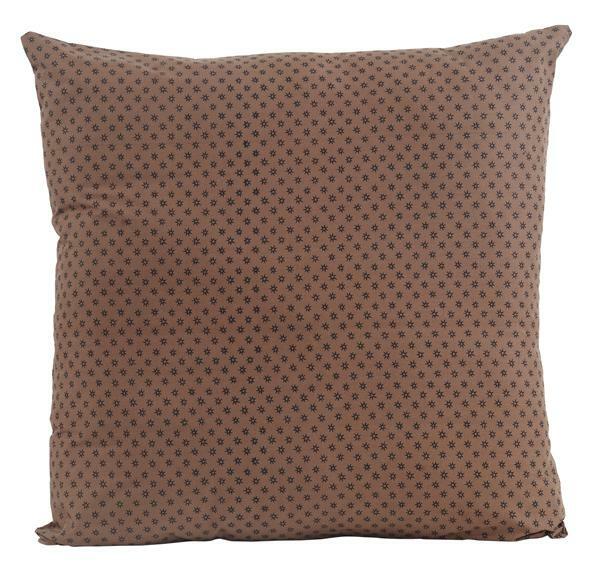 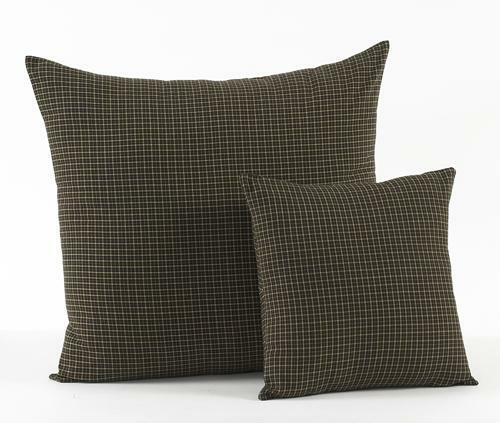 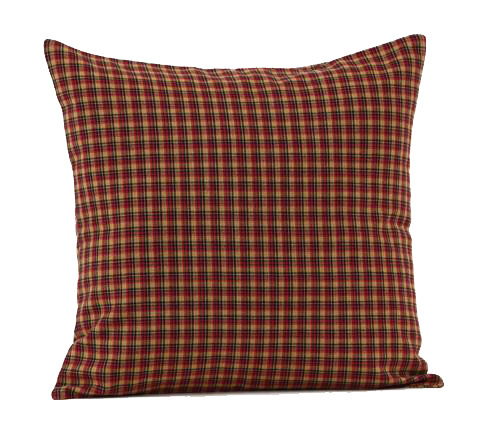 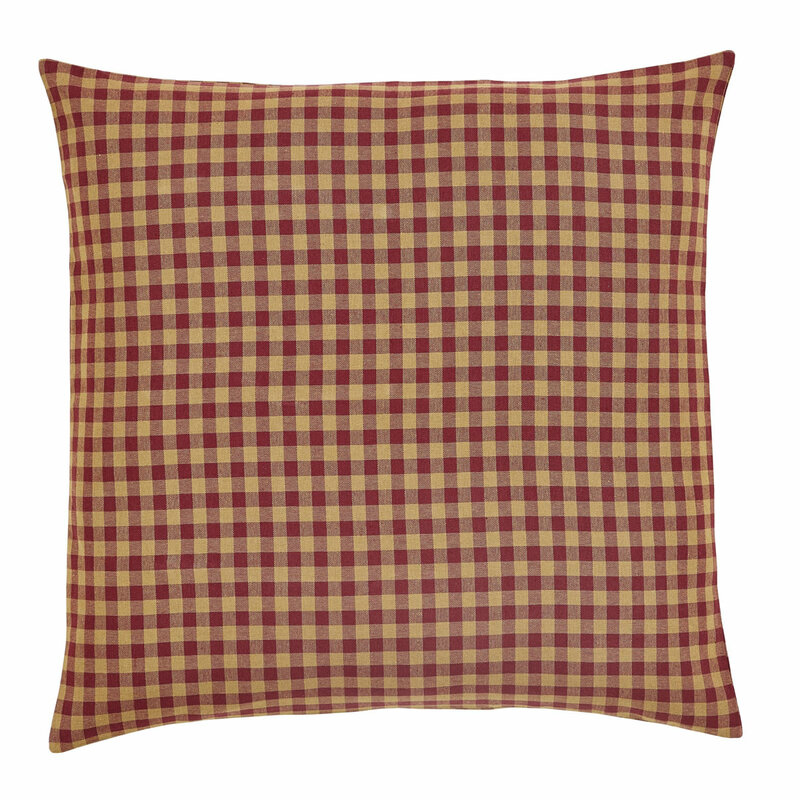 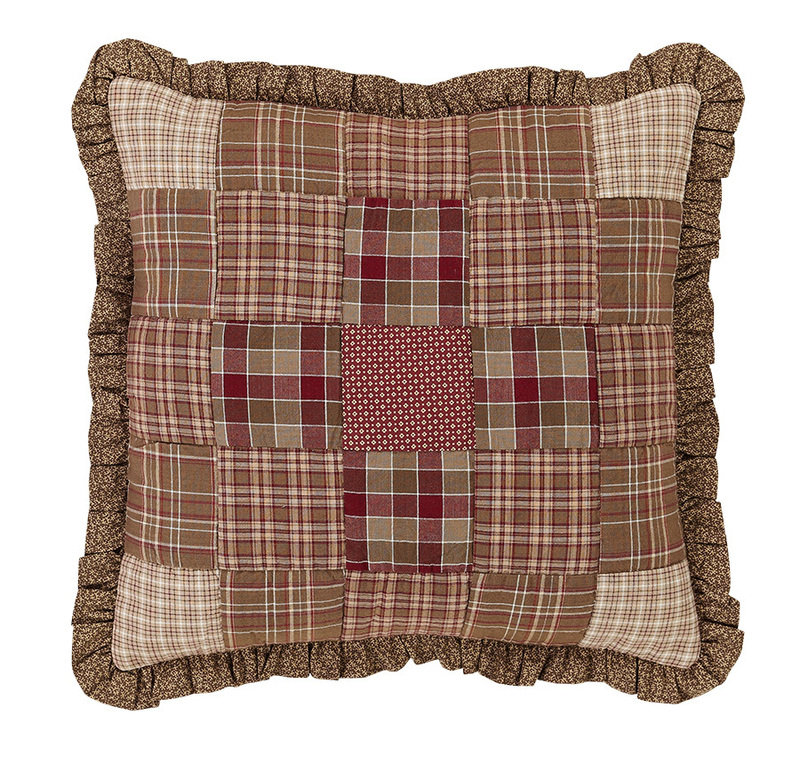 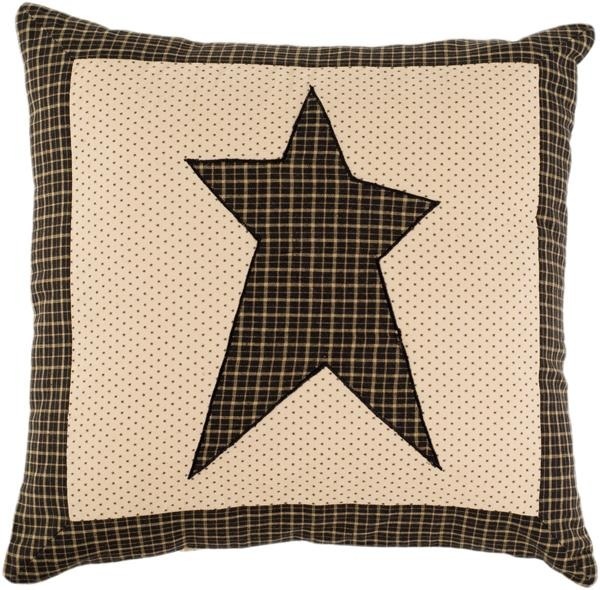 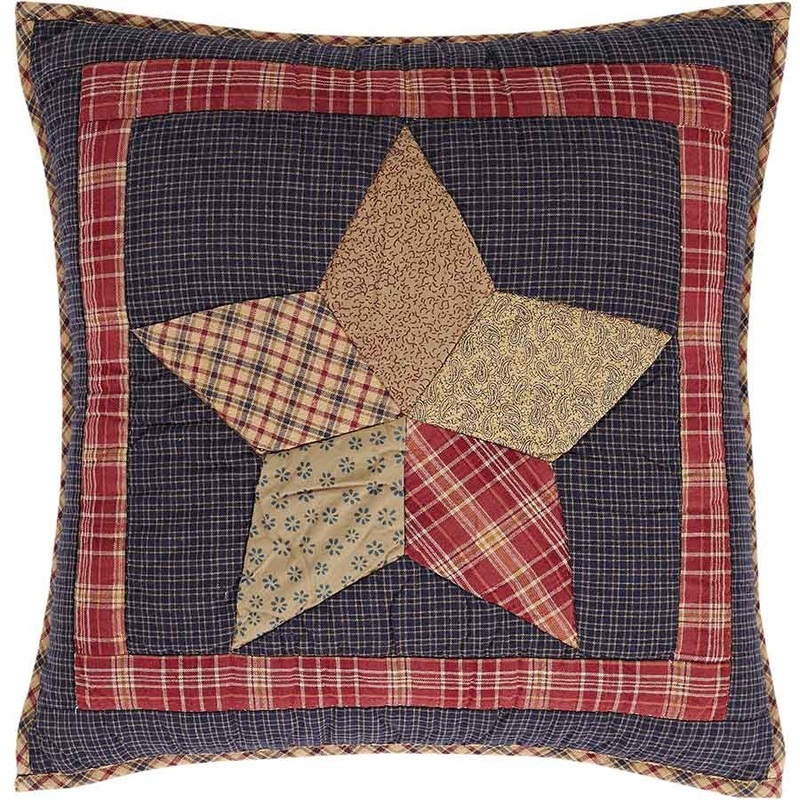 This pillow is made from 100% cotton and woven into a "burlap" fabric for a soft, natural look. 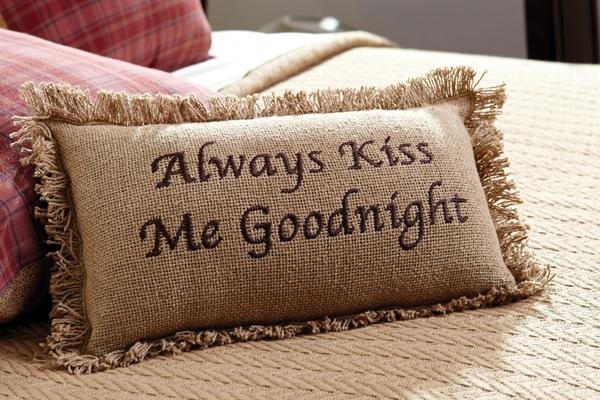 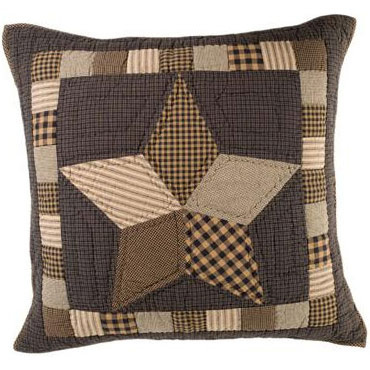 It measures 7"x13" and "Always Kiss Me Goodnight" is embroidered in a chocolate brown thread. This pillow is made from 100% cotton and woven into a "burlap" fabric for a soft, natural look. 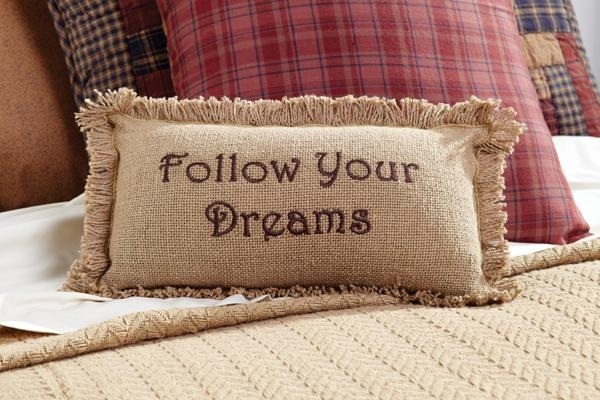 It measures 7"x13" and "Follow Your Dreams" is embroidered in a chocolate brown thread. 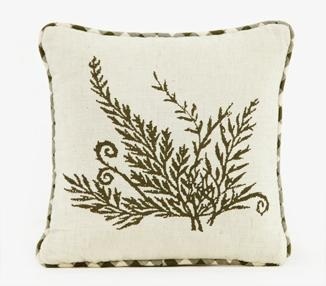 This pillow is made from 100% cotton and woven into a "burlap" fabric for a soft, natural look. 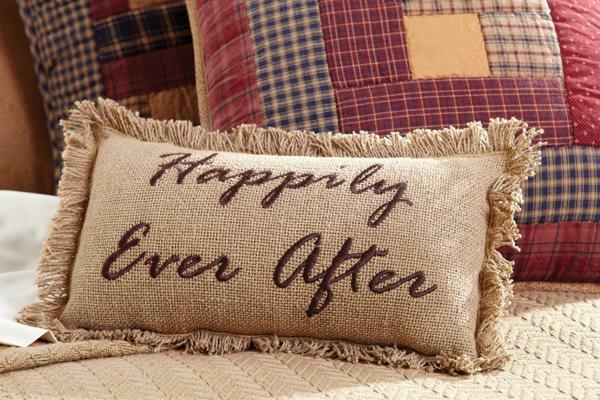 It measures 7"x13" and "Happily Ever After" is embroidered in a chocolate brown thread. 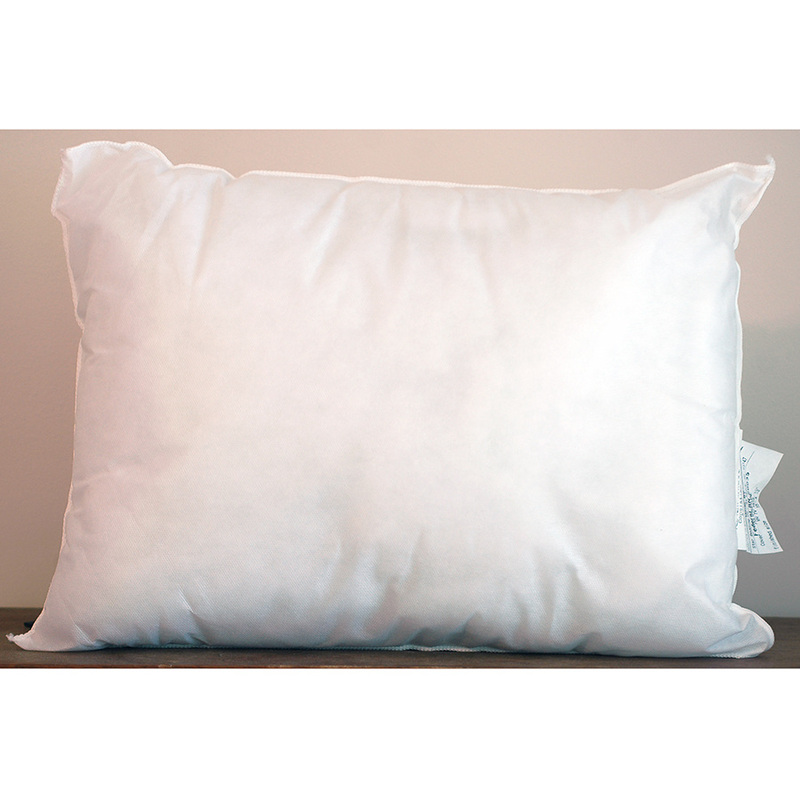 Euro Sham measures 26"x26", is 100% cotton shell and fill. 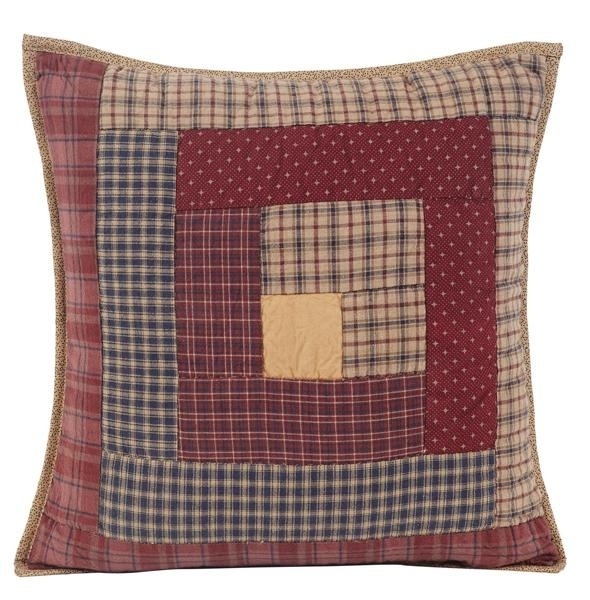 Machine pieced, hand quilted, edges finished in binding. Backing has 3" overlap with 3-button closure to conceal pillow insert, plus extra button sewn to inseam for maintenance. 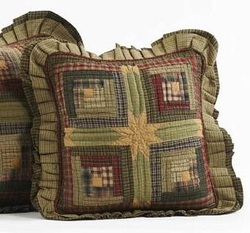 Insert sold separately. 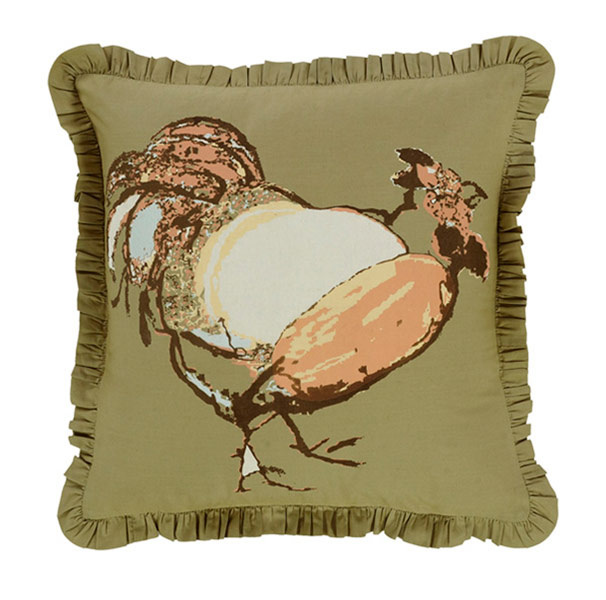 Thiis Meadowsedge 10" pillow has a delicate "fiddlehead fern" stenciled onto cotton flax with a binding of earth green check. 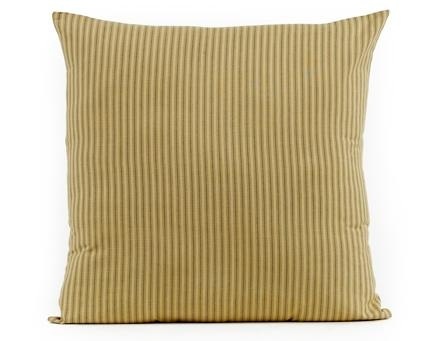 The pillow reverses to striped fabric of earth greens and natural. 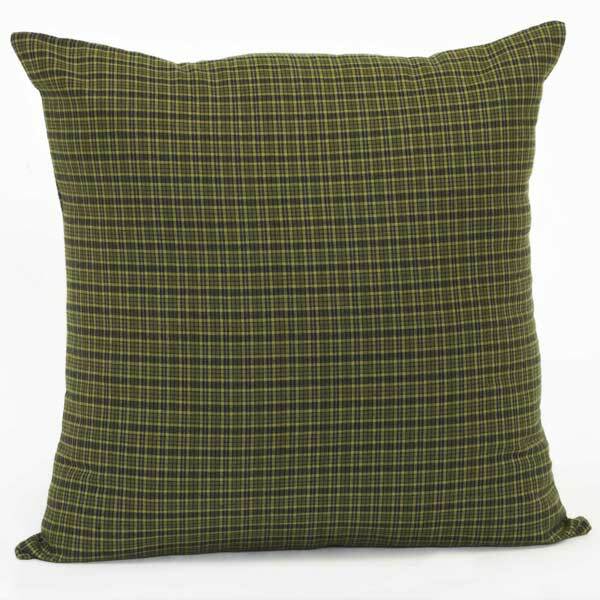 The shell is 100% cotton and filled with poly blowfill and sealed. 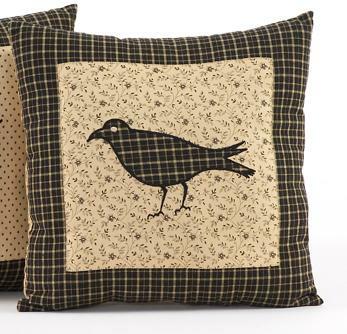 10" square pillow features appliqued crow in black fabric, on floral print ground, with black plaid border. 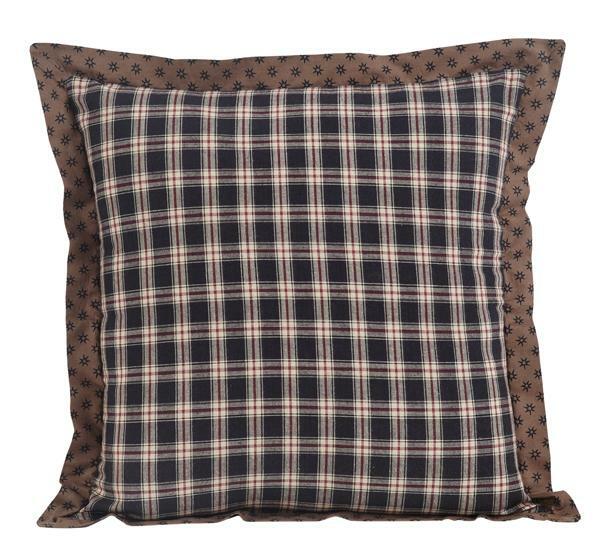 Knife edge finish. 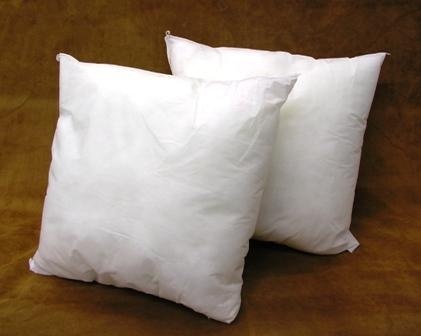 Blow fill polyester with cotton shell.